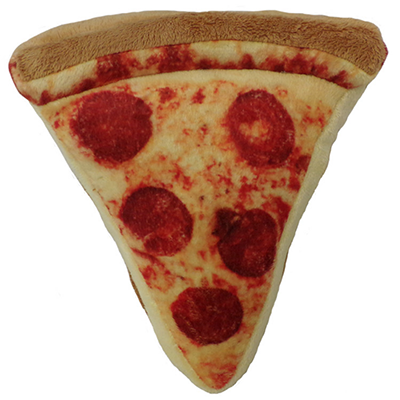 Your pug will love sinking their teeth into this fantastic pizza plush! This premium toy is made with strongly stitched seams, no loose pieces, and an extra layer of durable mesh fused on the inside to withstand hours of pizza party playtime with your pug. This toy measures about 6" long. © 2016, Pug Box All Rights Reserved.